Divorce can seem like a complicated process for married couples who want to split. There are certain aspects to the relationship that must be considered. For instance, decisions may need to be made on how assets will be split up between former married couples. The different types of divorce options determine how these decisions are made. Uncontested divorce: There are cases where spouses agree on child support, property division and other issues before filing for divorce. An uncontested divorce may be an option to consider in such cases. Contested divorce: The name says it all. A contested divorce is where spouses do not agree on the terms of separation. Therefore, a court or mediator is required to help iron out an agreement. Fault divorce: With a fault divorce, one spouse alleges the other is guilty of wrongdoing. For instance, they may allege the other spouse is guilty of adultery. A no-fault divorce: Spouses may split due to irreconcilable differences without alleging wrongdoing. 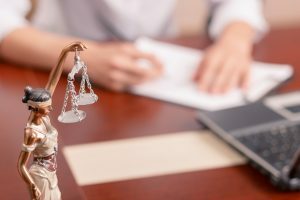 California is a no-fault divorce You do not need to accuse your spouse of wrongdoing to file for divorce in California. Summary dissolution: This is a type of uncontested divorce option in California for short-term marriages. However, certain additional criteria must be met to be eligible for this option. Mediated divorce: You can settle your divorce out-of-court with the help of a neutral third-party mediator. The mediator would help you and your ex-spouse create the terms of a divorce agreement. Collaborative divorce: A collaborative divorce is another out-of-court option. In a collaborative divorce, attorneys working for the spouses help draft the divorce agreement. Which Divorce Option Should I Chose? Which option is right for you? That would depend on the circumstances of your divorce and which state you reside in. For instance, at-fault divorces do not exist in California because it is a no-fault divorce state. The San Jose and Santa Clara divorce lawyers at the Law Office of Daniel Jensen, P.C. could walk you through which options could work best for you and your partner.